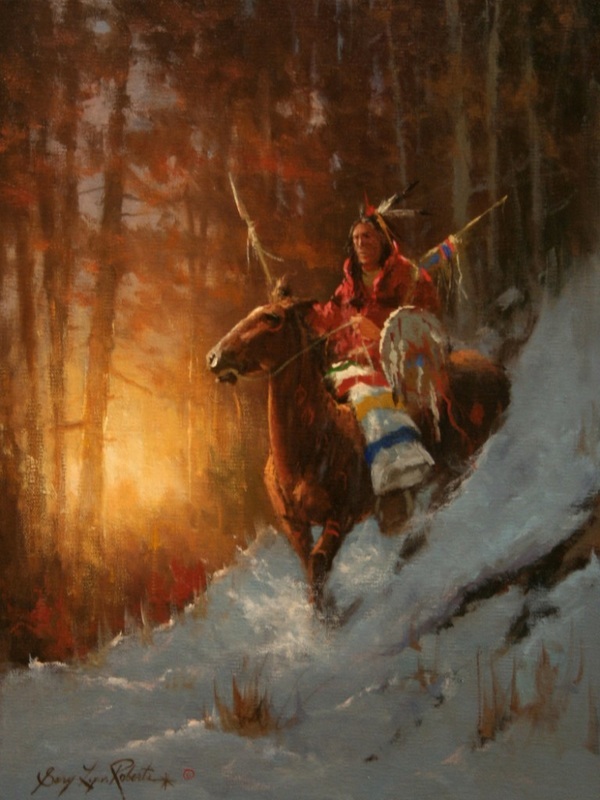 Gary Lynn Roberts was raised in Texas and has been painting since the age of fourteen. He grew up in an atmosphere permeated by art, his major influence being his father, noted Western artist Joe Rader Roberts. In addition to his father's training, he received one on one training from many of his father's friends such as G. Harvey and A.D Greer. 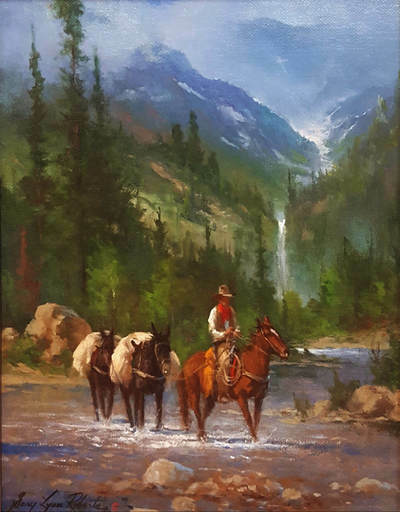 Gary hs taken his training and molded into his own style of painting, a mixture of Realism and Impressionism that captures the history of the Old West. Gary's experience in training horses and performing in rodeos has enhanced his ability to paint horses in environments that accurately display their personalities. 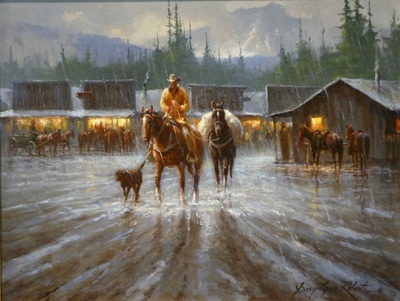 He has a natural inclination as to how a horse will behave with riders. 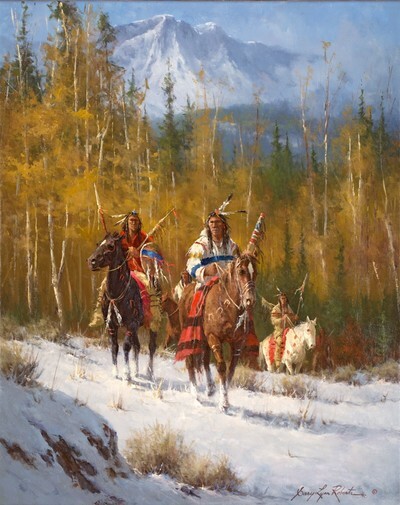 Gary has his paintings in private collections all over the country as well as in collections of museums, such as the Pearce Collections Museum in Texas. 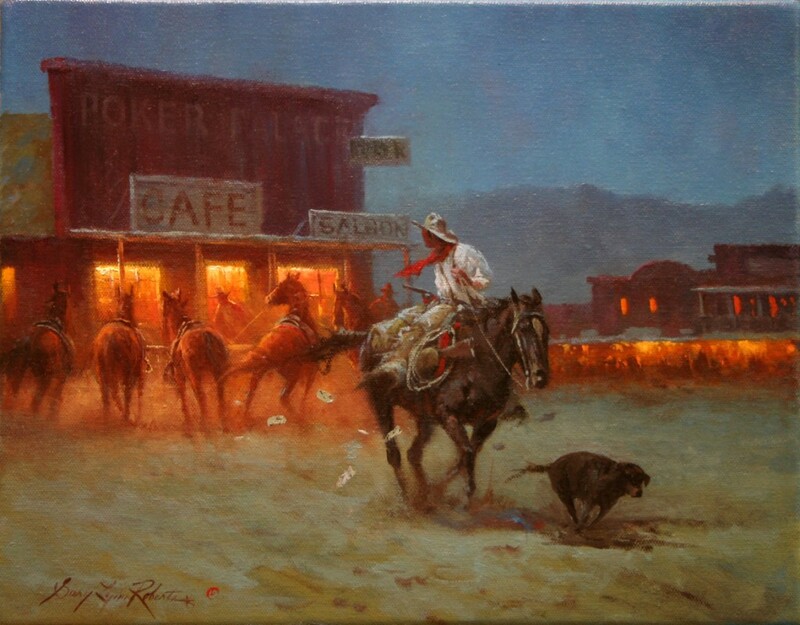 He as won several "Gold" and "Best Of Show" awards at the Texas Ranger Museum & Hall o Fame. Gary Lynn is also a favorite at the C.M. Russell Show in Montana.